Leverage your existing ServiceNow investment to modernize Facilities Service Management. 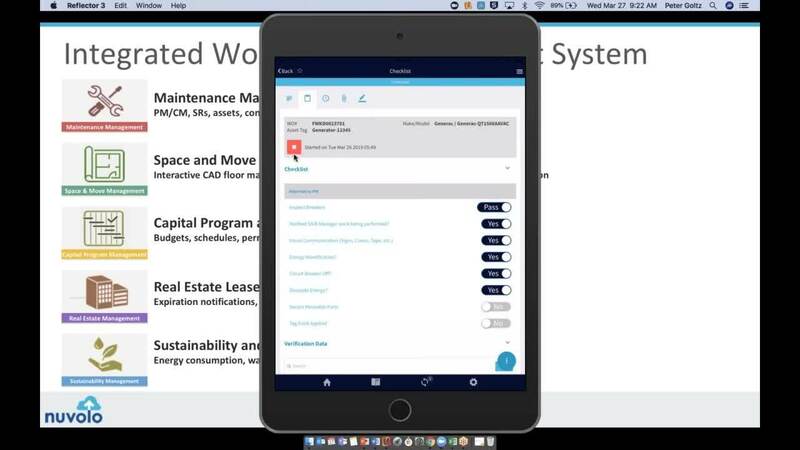 Nuvolo’s capabilities together with the power of the ServiceNow platform, render legacy CMMS (Computerized Maintenance Management System) and EAM (Enterprise Asset Management) applications a thing of the past. Nuvolo’s solution helps customers rationalize dozens of applications within the enterprise onto one platform. The goal is to help eliminate application sprawl, cut costs and end swivel chair facilities management. Nuvolo is a purpose-built scoped application on the NOW platform that allows customers to manage all facilities related operations in ServiceNow. Modern Facilities Management starts with all relevant facilities assets in a single, authoritative system of record and system of action. How Nuvolo’s ServiceNow platform strategy enables a single source for asset data and service requests, while providing real-time visibility. Want more information about Nuvolo and Facility Management in ServiceNow? Please fill out this form and we will contact you!